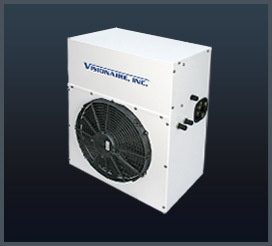 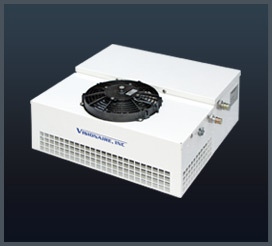 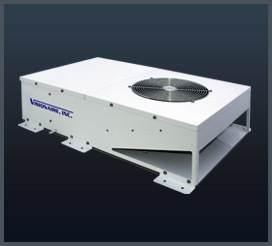 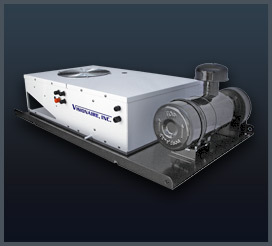 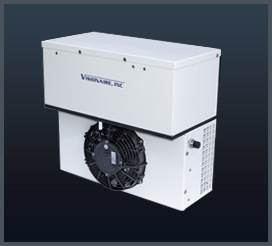 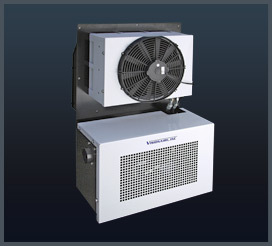 Visionaire evaporator and condenser combination units are typically mounted to the cab roof or outside wall. 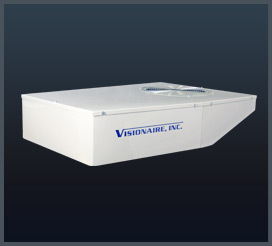 In applications where space is limited, this type of installation eliminates the need for taking up large areas of inside space. 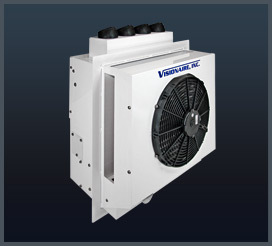 Optionally, our standard engine driven compressor or remote mount hydraulic driven compressor are available.